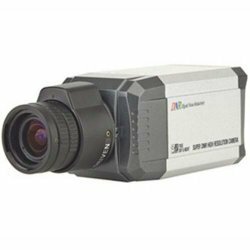 If you are looking to perform your own security camera installation, there are a couple of things you should know beforehand. This project requires the installer to have a variety of knowledge when it comes to doing the installation, since there are a lot of electronics and construction issues involved. There are a couple of different options when it comes to installing your security system, but that all depend upon what type of system you have decided to install. A few things that you want to consider when doing a project for yourself are listed below to help you make an informed and educated decision about getting your security system up and running. For example, let’s say that you have bought one of the higher end security systems to install around your home. The main problem you have uncovered is how complex the process is going to be. There are numerous instructions and languages that you are trying to make your way through to even attempt the installation process, not to mention the numerous pictures that are a feeble attempt o help you understand what you are doing. It all boils down to all of the numerous components that need to be installed around your home, which for a lot of people it can be overwhelming. At this point, you are probably ready to pick up the phone and call in the professionals to come and do the job for you. Don’t fear; there are options for you when you begin to feel this way. 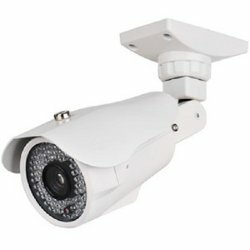 Essentially, there are two main types of security cameras that you can purchase and install around your business or home. One of those is the wireless system, which does not require any wires running to it in order to complete the installation process. There are sensors on this particular device, as well as a power supply that can be operated remotely providing it is within reach of the main hub. Wired systems are slowly making their way out of the market because the wireless systems have such a variety of features that make their counterparts obsolete. Think about all of the wires involved when it comes to a wired system, which is why a lot of people have problems trying to get these systems up and running. Thinking about installing a home security system is not an easy task. It can prove to be a challenge and cause a lot of frustration if you have never attempted a task such as this beforehand. Make sure you take your time to look at everything and make an educated decision before you get started. If you don’t think the project is something that you can handle, there is no need to worry because there are plenty of security companies that are willing to come in and do the installation for you. At one point in time, home security systems were something that only the wealthiest of individuals could afford. Today, it has become relatively inexpensive and easily accessible for households around the world that are looking to invest in security systems. Many people choose to order their equipment online and have it delivered right to their front door. This is an excellent way to help keep the cost down while still being able to get the absolute best in a device. For a lot of people, the thought of actually having to install the security system is overwhelming. Instead, they make the decision to hire a professional to come in and set all of the equipment up for them. A lot of people look for a local security company to help with the installation process. If you are one of those individuals, there are a few things that you need to keep in mind to help make sure you get the services you need and the job is finished on time. The first thing you can do is talk with your friends and family to see if they know anyone who might be able to come in and do the job for you. There are often a lot of times where someone you know will be able to recommend you to someone that they have had a positive experience with. Since the contractor has been referred by someone, there is an excellent chance they are going to do the best job possible to make sure their reputation remains as it is. They will probably hope that you are going to refer someone to them, which is an excellent reason for them to make sure they perform the highest quality of work and their level of service remains superior. Always make sure and look for proof of the contractor’s credentials. If they claim they are certified installers and have all of the necessary insurance to cover themselves, make sure to ask for the documentation to prove their claims. When you encounter a contractor who cannot provide you with the requested documentation, there is a good chance that they are not someone you should trust to do the job right. Avoiding them right from the start is the best defense when it comes to your security installation. If you do decide to hire someone who is local, there is an excellent chance that they are going to have the appropriate certifications and insurance. You are the only one who can decide whether or not you want to hire the individual, which is based solely upon how much you are able to trust them and other important criteria. Sometimes you will find that a verbal agreement may be forgotten, especially when it comes down to an unforeseen problem that is going to end up costing more money. Make sure you have everything on paper, so as to outline all of the details surrounding the project you are having completed. If there are any problems down the road or a disagreement ensues, you will have the documentation to back your claims up about what was included in the original price. This can prove extremely useful for clearing up any issues down the road. Having all of these tips in the back of your mind will help increase the potential for having the work done right the first time. If you are worried about staying on budget and time, these tips will make sire you don’t have to worry about it. During the cold seasons of the year, there are a few things that can change. One of those things is the time of day when it starts to become dark outside, but another is the way that the average criminal is going to work. They know when people are normally at work and the children are away at school, which means they understand how many hours the home is left unattended to during one week alone. Burglars also know what time the family arrives home because the house will be lit up thanks to the earlier time for darkness to set in. This is one of the key things that an installer might be aware of, but an average family might not think about these things. They fail to realize how easily their residence can be placed on the list for a burglar, which is why the security companies are there to help you. There are a few safety tips that you can implement to help prevent your home from getting broken into, which will help protect your family in a number of ways. • Having a security system in place that is used around the clock will help ensure the safety and security of your family and your home. There are numerous people who have security systems in place, but they fail to use them on a regular basis. • Every season you need to take the time to check and make sure the system is properly working. Also, go over the backup battery and make sure it is still functioning. • Make sure that all of the family members are trained in how to use the security system. Everyone needs to know how to arm and disarm the system without any complications. These are just a few of the things that a security camera installer is going to know, along with other numerous facts about potential home invasions. Burglaries are something that can happen around the world and not just in the city. They also understand the importance of protecting your family from any violent home invasions. Security technicians understand that there are numerous other dangerous inside of your home, such as carbon monoxide. Any home that uses a gas appliance can essentially become filled with a deadly gas, which carries no odor. There is also the potential for smoke and fire, which can turn quite deadly if there is no warning for the family inside of the home. All of these things are something that the security installer is going to be aware of when it comes to protecting your home and your family. They can make sure the appropriate devices are installed in just about any home, regardless of whether or not it is a new home or one that has been around for some time. All of the things that are dangerous for families can be rectified thanks to the installer. 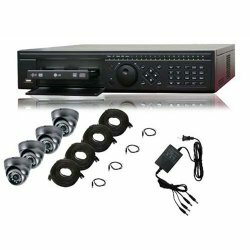 They will be able to provide you with the installation of your system, accompanied by an alarm that will sound whenever there is something out of the ordinary that is detected. The monitoring center will also receive an alert letting them know that something is going on requiring immediate attention. This ensures your family will be able to get out of the house safely and securely, while the authorities are already in route to your home. Once the installer has left the home, your family will be able to sit back and relax in knowing that your family and your home will be protected from some of the most obvious dangers around your home. They will make sure that your family is trained on how to use your system, so that way when it does send an alert to the monitoring station it is because the family is in need of assistance and it is not a false alarm. One of the most common issues with a new security system in the home is a false alarm being triggered, which could make the family decide not to purchase the system right from the beginning. When the system is not armed, there is no way of protecting the family or anything inside of the home because there is no way to trigger the alarm. It will not be able to send an alert to the monitoring company if there is a intruder, smoke, fire or carbon monoxide leaking inside of the home. The best defense is being protected right from the start, which is why the installer will make sure you are educated before they leave your property. There is no reason not to be protected, so take the time and express your concerns with the installation company. This way they know what they need to do to help you overcome any concerns you may be facing. It is always better to ask questions beforehand than it is to just assume you know what you are doing and end up in a situation where you are unsure how to turn your alarm on or off. Asking questions only ensures you know what you are doing and no one will be left feeling scared or nervous when it comes to putting the alarm in motion.